In yesterday’s post I mentioned going to church – but I am not oblivious to history (those of you who follow my blog know that by now) – so I do not try to cover up for or make excuses for history. We have to face that fact that many very bad things were done by the church in the name of Christianity. 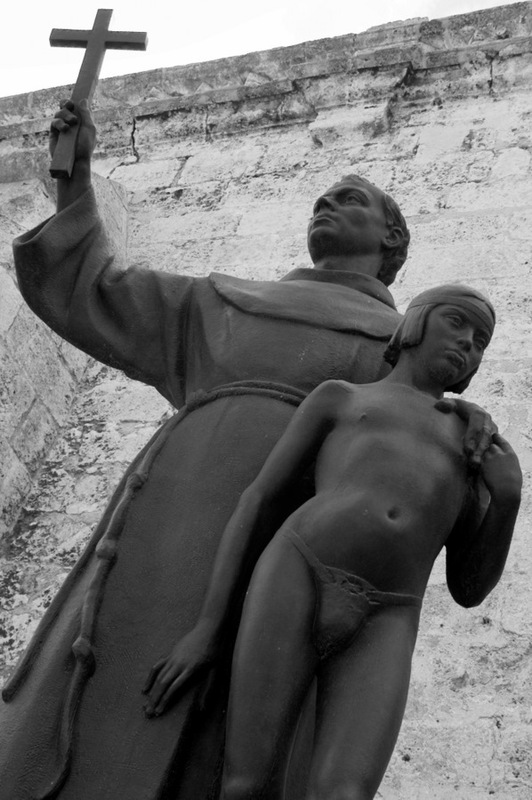 Anyway that leads me into this picture – a shot of a sculpture outside a church in Cuba. I suppose this was made to honour this particular priest who set up a mission for native people. The sculpture, however, subtly tells another story to the person with a careful eye – a history that is quite appalling. Can you see it too?